The Schoolmaster: a commentary upon the aims and methods of an assistant-master in a public school. 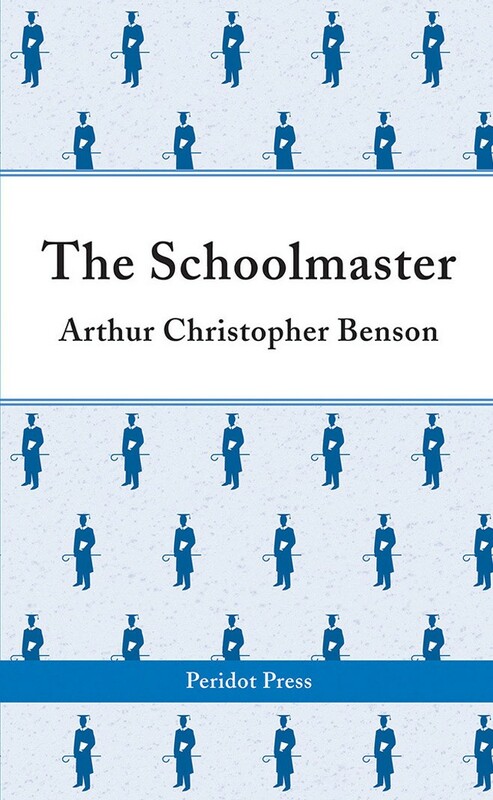 The Schoolmaster was originally published at the turn of the 20th century, when the world was a very different place and yet Benson’s strikingly honest words about his chosen profession are, in the main, still relevant today. Benson was born at Wellington College, educated at Eton and Cambridge and spent his life and career at both. He also had a very successful career outside of education; he was a prolific writer, the editor of Queen Victoria’s letters, lyricist and prolific diary writer. Arthur Christopher Benson was an English essayist, poet, and author. His poems and volumes of essays, such as From a College Window, made him famous in his day. Today, he is best remembered as the author of the words to one of Britain's best-loved patriotic songs, Land of Hope and Glory.